Foreign Affairs Minister Chrystia Freeland, right, listens to a question from a reporter during a break in trade negotiations at the Office of the United States Trade Representative in Washington on Aug. 30, 2018. Canadian and U.S. negotiators are focusing on a key trade-dispute resolution mechanism and provisions for increased American dairy exports to Canada ahead of a Friday deadline imposed by U.S. President Donald Trump to reach a NAFTA deal, sources close to the talks say. Although Foreign Affairs Minister Chrystia Freeland said on Thursday a deal is possible, officials cautioned that Mr. Trump has not yet signed off on any of the measures agreed upon so far and he could reject any trade-dispute mechanism that Canada considers essential to a final outcome. Mr. Trump set a deadline of Friday for Canada to join a preliminary accord with the United States and Mexico and plans to leave for the presidential retreat at Camp David early in the afternoon, putting added pressure on negotiators to wrap up the talks. Ms. Freeland and senior advisers to Prime Minister Justin Trudeau met with U.S. Trade Representative Robert Lighthizer at his office in Washington for most of the day and into the evening. “That was a long, intensive conversation with Ambassador Lighthizer and his team. The atmosphere remains constructive. … We are making progress,” Ms. Freeland said after a session that ended at 8:30 p.m.
She returned at 10:15 p.m. for another meeting that lasted just five minutes. Ms. Freeland told reporters that she had “a couple things to say” to Mr. Lighthizer and she would meet him again Friday. But sources have told The Globe and Mail Mr. Lighthizer remained firm against acceding to the key Canadian demand to maintain Chapter 19, one of Canada’s negotiating priorities since talks began last year. The North American free-trade agreement’s Chapter 19 allows Ottawa to challenge punitive American tariffs on imports before binational trade panels rather than having to rely on the U.S. court system. U.S. and Canadian negotiators have been working to maintain a dispute mechanism that includes language from Chapter 19 as well as Chapter 11, which deals with disputes between investors and governments, and Chapter 20, another country-to-country dispute-resolution system Mr. Lighthizer has previously proposed gutting. Chapter 11 was originally included in NAFTA to protect Canadian and American investors from Mexican courts. 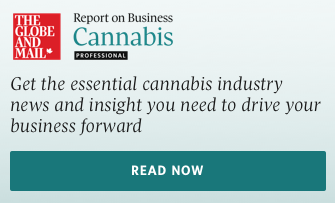 But Canada has also been repeatedly and successfully sued under the system, losing or settling six claims and paying a total of $270-million in damages. Mr. Lighthizer opposes Chapter 11 because he believes it offers incentives to U.S. companies to make foreign investments rather than creating jobs at home. The United States and Mexico previously agreed to a scaled-back Chapter 11 that would apply only to companies in oil and gas, energy generation, telecommunications and infrastructure. Canada is not opposed to eliminating Chapter 11. Mr. Trudeau and Ms. Freeland briefed provincial and territorial premiers during a telephone call on Thursday afternoon and informed them of the hang-up on Chapter 19 and the importance of having independent panels to resolve trade conflicts. One U.S. industry source briefed on the talks said the two sides have reached high-level understandings on the major issues and are still hoping to announce a deal by Friday. Such an agreement would be preliminary, but would allow Mr. Trump to give the U.S. Congress notification of an agreement. Negotiators would have to continue working to complete the final deal. A Canadian government official said Ms. Freeland outlined how positive and flexible the Americans have been in this current round of around-the-clock negotiations, but warned there was no consensus yet on the trade-dispute mechanism. 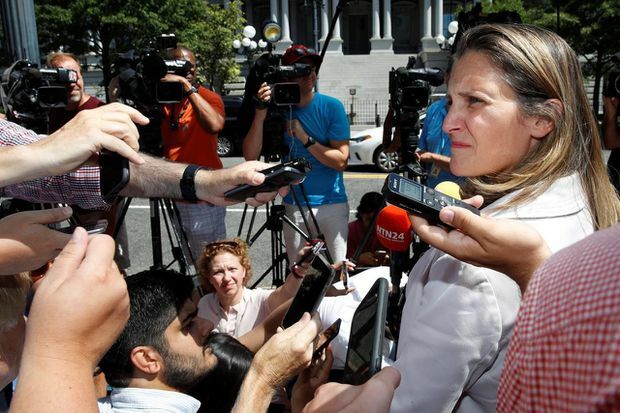 However, the official said Ms. Freeland held out the possibility of an announcement on a final NAFTA deal on Friday. “How do you have a trade deal with Donald Trump without a dispute mechanism?” said Jerry Dias, president of Unifor, Canada’s largest private-sector union. Sergio Fernando Alanis Ortega, the head of Mexico’s mining industry association, said the possible gutting of Chapter 11 should cause concern for Canadian mining companies, which constitute the vast majority of foreign investment in the Mexican mining sector. Without Chapter 11, he warned that Canadian mining companies will have less recourse if Mexican officials refuse to issue them permits. As previously reported by The Globe, Canada has offered U.S. farmers more access to the protected Canadian dairy market in a bid for a deal. Canada is also fighting to keep protections for cultural industries in the trade deal. Both dairy and cultural protections are major issues in Quebec, which is in the early stages of a volatile election campaign. Canada is holding the line on Buy American demands from Mr. Lighthizer, a Canadian source with knowledge of the talks said, telling the Americans that Canada must have the same access to bid on U.S. government contracts or will impose Buy Canadian provisions on U.S. firms. At the centre of the deal agreed to on Monday by Mexico are changes to auto-industry rules that mandate 40 per cent to 45 per cent of the content of vehicles must come from factories paying at least US$16 an hour, a move designed to push new auto jobs to the United States and away from Mexico, where workers earn only US$4. Canada has already agreed to this. Ms. Freeland brushed off suggestions on Thursday that a court ruling against the Trans Mountain pipeline expansion had put pressure on the Trudeau government to get a NAFTA deal to prove the country is still open for business.